Home / health / How to Grow an Endless Supply of Ginger Indoors? How to Grow an Endless Supply of Ginger Indoors? Ginger is widely used in Ayurveda .Traditional Ayurveda texts recommend ginger for therapeutic use for joint pain, motion or airsickness and clearing the microcirculatory channels to facilitate better absorption of nutrients and better elimination of wastes. Hence growing ginger could be very helpful. -Be sure to pick the perfect pot. Ginger loves shallow, wide pots, unlike most other houseplants. 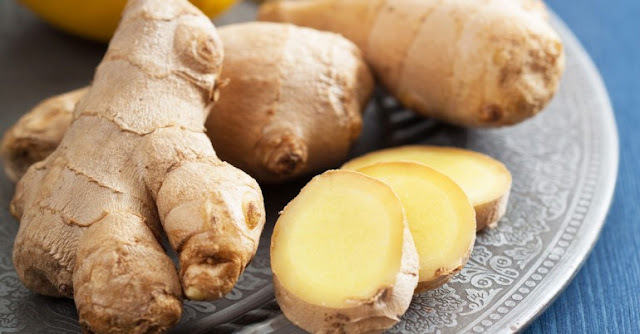 The roots grow horizontally so be sure the pot you choose will accommodate its growth.-First of all, soak the ginger root overnight in warm water to get it ready for planting. -Fill your pot with well-draining but very rich potting soil. -With the eye bud pointing up, stick the ginger root in the soil and cover it with 1 – 2 inches of soil. Water it well. -Place the ginger in a place that stays reasonably warm and doesn’t get a lot of bright sunlight. -Using a spray bottle, keep the soil moist or water it lightly. -Ginger is a slow grower, after a few weeks you should see some shoots popping up out of the soil. Keep the plant warm and continue to water the plant regularly by misting it with a spray bottle. -Small pieces of ginger can be harvested, 3 – 4 months after the growth begins. Move aside some of the soil to the edges of the pot and you should be able to find some rhizomes beneath the surface. Cut the needed amount off a finger at the edge of the pot and then return the soil to its place. -Ginger will continue to produce roots, and as long as it is well cared for, it can be harvested in this way endlessly. You can uproot the entire plant and re – plant a few rhizomes to start the process over again, in case you need a larger harvest.